Every year, Eddie & Mike Everett present the “Everett Brothers Award” to encourage young fighters with same dream that the three fighting Everett brothers (Tyrone, Mike & Eddie) once had – to become a world champion. This year’s recipient is amateur light heavyweight boxer, Atif Oberlton, a product of West Philly’s James Shuler Memorial Boxing Gym. Oberlton is trained by Eugene Hart Jr. and has begun to make his name in both the local and national amateur boxing scene. Atif won the National Golden Gloves and the Ringside World Championships this year to burst onto the elite amateur boxing scene. 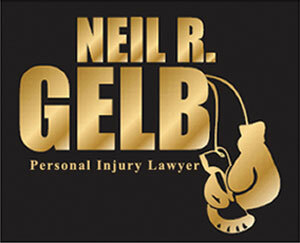 The “2016 Everett Brothers Award” is sponsored by Neil R. Gelb Esq. – Personal Injury Lawyer. 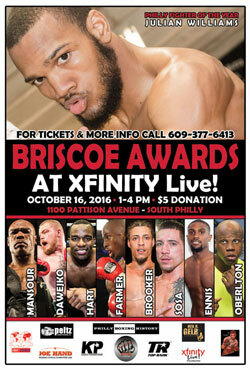 Come out to support Atif Oberlton and the rest of the Philly boxing community on Sunday, October 16, 2016, 1-4 pm at Xfinity Live! In South Philadelphia. Admission is $5.